Free Shipping Included! 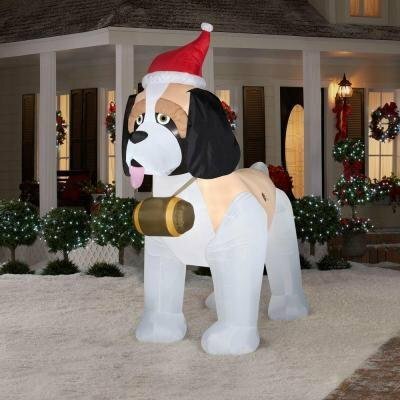 Giant Airblown St. Bernard Inflatable Dog, 9 Foot Holiday Outdoor Yard Inflatable Decoration by Gemmy at Two Clock. Hurry! Limited time offer. Offer valid only while supplies last. GIGANTIC 9' Foot Tall St. Bernard is an Absolute Eye Catching, Eye Turning Display. GIGANTIC 9' Foot Tall St. Bernard is an Absolute Eye Catching, Eye Turning Display. IMPRESSIVE! !